Here at this page we provide a wonderful job opportunity for the Pakistani Nationals such as Jobs in Saudi Arabia 2015 for Pakistani Male in Electrical Field. 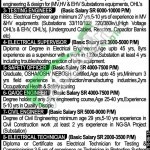 Jobs in Saudi Arabia are available and applications are invited from the Pakistani Nationals for the electrical field in Substation 132kv to 380kv Project in Saudi Arabia and due to this it is seeking for highly educated, very experienced, hardworking and well disciplined candidates for the following positions such as (Project Manager, Technical / Design Engineer, Testing Engineer, Electrical Supervisor, Safety Officer, QA/QC Engineer, Civil Engineer, Electrical Technician and Auto Cad Operator). Only male candidates from all over Pakistan should apply only in that if they fulfill the criteria mentioned in the image posted below. Candidates should submit their detailed Resume / CV in PDF Format with latest picture via email or post on the following address given below. Last date for submission of application is not given so candidates should apply as soon as possible. Candidates should mention clearly the position applied for in the subject line of email or on the envelope. After verification of applications only eligible candidates will be called for interview. No Traveling Allowance / Dearness Allowance will be paid for interview. 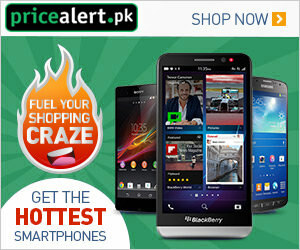 Address: Flat # 5, 2nd Floor Mustafa Plaza 6th Road Near Midway Shopping Center Satellite Town Rawalpindi.